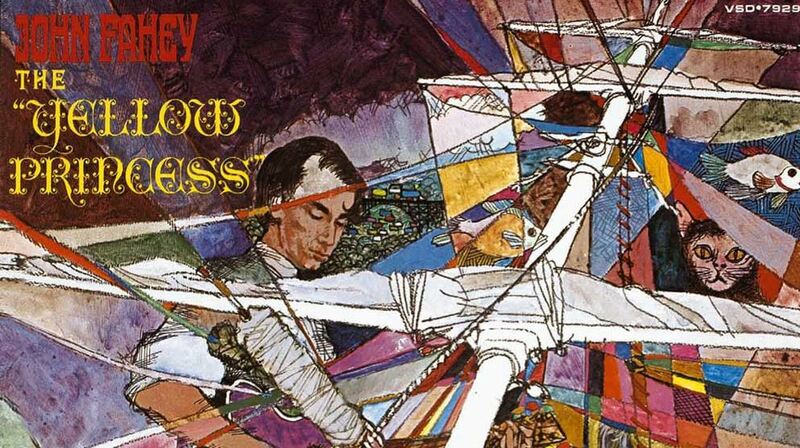 If you go looking for John Fahey’s records you’d find them in bins marked “folk” or perhaps “unclassifiable.” Fahey, though, thinks of himself as a classical composer who plays classical music on his own guitar. This does not mean he is devoting his life to translating the score of Bach’s B Minor Mass into something appropriate to one-stringed instruments (though he does play the Beatles’ “You Won’t See Me” on Hawaiian guitar). John Fahey is a classical composer with his own special library of the classics. I remember walking into a record store in 1964, catching a glimpse of a black and white album cover, with stark lettering that spelled out: John Fahey, Death Chants, Breakdowns, and Military Waltzes. Pretty strange; I put that out of my mind pretty quickly. Then from the radio one night came this interminable song without any words, guitar chords exploring each other over and over, the music quietly frightening. 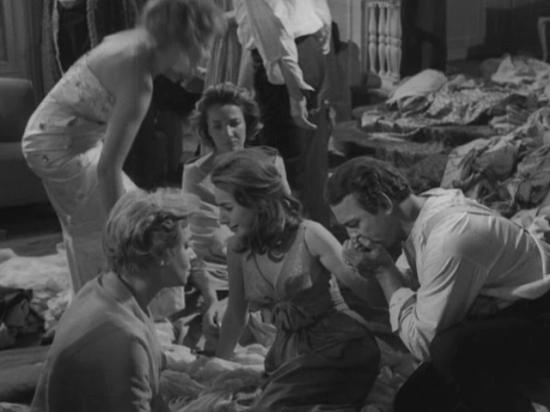 It was called “The Great San Bernardino Birthday Party,” and it sounded, with a little help from the title, like Bunuel’s endless bacchanal from The Exterminating Angel. I began to hear mention of Fahey’s name every once in a while, the name connected with places like Maryland, Mississippi, Arkansas, Berkeley, and of course, San Bernardino. Fahey began playing music on a clarinet in junior high school; he hated that, and picked up a guitar. He began composing before he really knew how to play; the title song on his new Vanguard album, The Yellow Princess is a product of those early years in the fifties, a song that wasn’t resolved, in Fahey’s mind, until just a few years ago. It’s the musical story of a clipper ship. Lidsacidspeedsmack—a clipper ship? Fahey started listening to bluegrass and to the ancient country blues of Son House and Charley Patton. He spent a lot of time in the deep south, digging the lovely countryside, knocking on doors, asking for old records, trying to locate the forgotten masters of the blues. Along with Henry Vestine of Canned Heat and Bill Barth of the Insect Trust, he helped discover such legends as Ishman Bracey, Bukka White, and Skip James, who he found dying in the black ward of a Mississippi hospital. Searching for that “rootsy feeling,” Fahey says. Glancing back over the titles of John’s compositions, it really seems as if only Richard Brautigan could write a novel about John Fahey’s songs, and only John Fahey could set Trout Fishing in America to music. Both of them have already done it. This entry was posted in Album Reviews and tagged Greil Marcus, John Fahey, Richard Brautigan. Bookmark the permalink.